Can you think of a swiss made mechanical for 100 swiss francs? No. Swatch makes it possible with Swatch Sistem51. 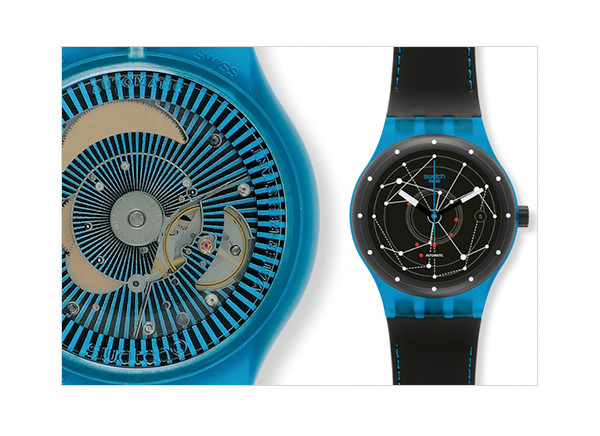 The decade-old brand launched Swatch Sistem51 at the Baselworld 2013. It’s a fully automated assembly made mechanical movement composed of only 51 components, a 90 hour power reserve and a selling price of no more than 100 Swiss Francs. The movement is an automatic, but in place of the rotor, it has a transparent disc rotating around a central screw. This allows users to see into the movement and all the intricate details of the 51 components. It offers the advantage of not having to wind the watch every day like an automatic and the ability to see the movement unblocked by a rotor such as in a hand wound watch. 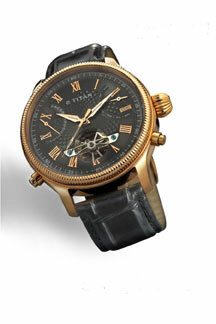 It has 51 components compared to most mechanical watches which have double that number. It’s a great accomplishment indeed. 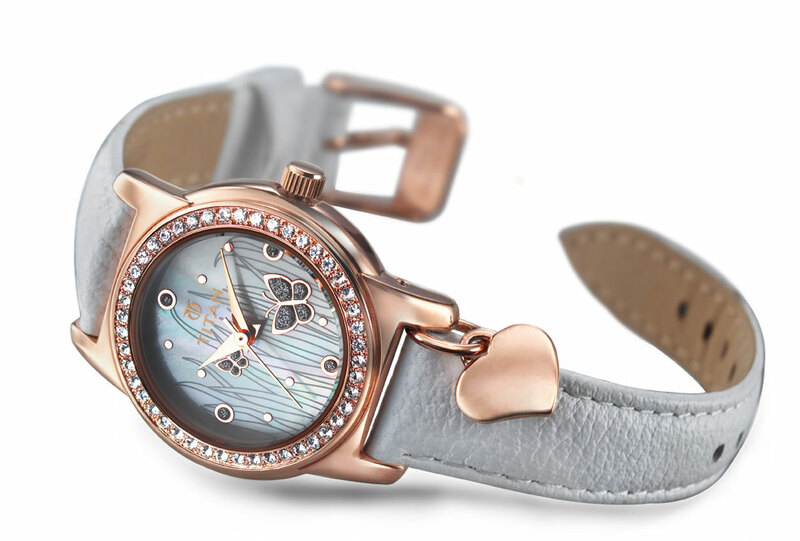 Interestingly, the material that the movement is made is called ARCAP, an alloy of copper, nickel and zinc with exceptional anti-magnetic qualities. The components are hermetically sealed within the case, preventing moisture of foreign objects from interfering within. The movement itself is 100% assembled by machines. The components are welded together to form an assembly centered around a single screw, and the advanced design of the escapement does away with the need for a regulator. The rate in fact is set in the manufacturing process by a laser, which means manual adjustments are totally unnecessary Top it all off itcomes with a 90-hour power reserve. What more do you need in life? The Dlink range – a series of sleek, water-resistant three-hand analog quartz watches with stainless steel case, leather strap and buckle closure which promises to add an innovative look to it. This look is complemented with a white dial and silver-tone hands and markers. If sleek is not what you are looking for, how about adding a little bling to your wrist with the Glitz range – a series of water resistant quartz watches studded with sparkling mineral crystal completed by gold and silver stainless-steel cases and deployment-clasp. Those who want to wear the colour of the season, DKNY presents Ceramic Rose Gold range – an effortless modern collection that reflects the style statement of contemporary women. They are ambitious, beautiful & reflect subdued glamour and texture. 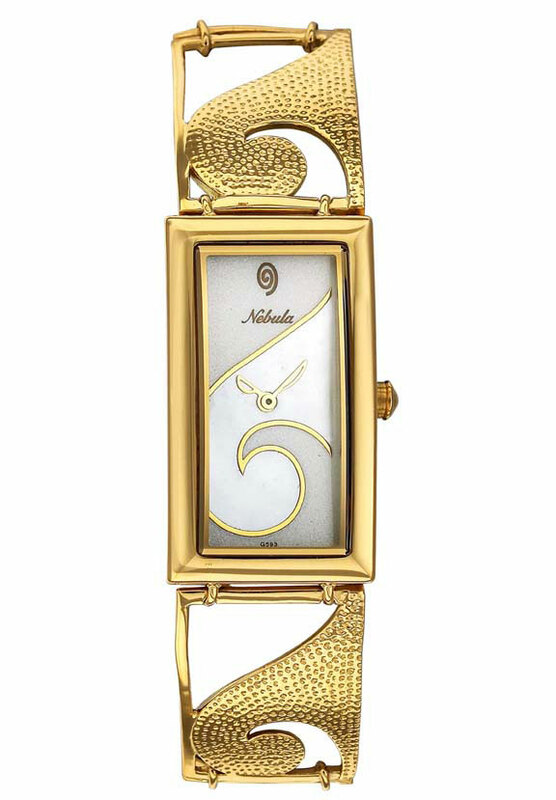 Blended effortlessly with silver, gold and rose gold these watches are distinct and sleek. 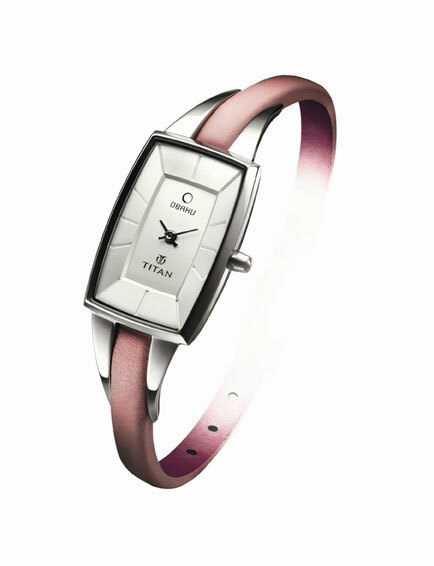 Titan’s Xylys Collection has launched its newest stunner, Sirius. 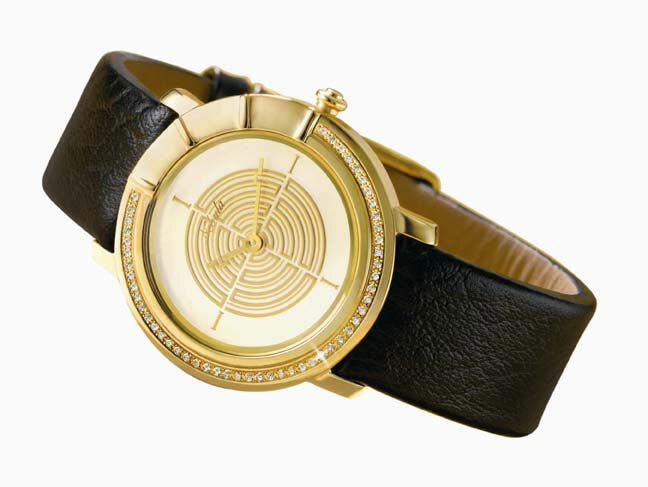 This ladies watch exemplifies the fine detailing and magnetism witnessed in Xylys. 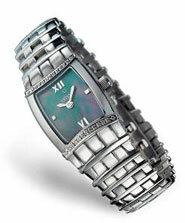 The beautifully bridged stainless steel bracelet exudes elegance as it gracefully drapes your wrist. Its understated look is emphasized with mystical blue mother of pearl dial and a scratch resistant sapphire crystal glass with anti reflective coating, set off by the sparkling real diamonds on the case. 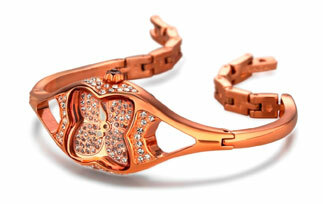 Sirius bears the perfect blend of Swiss craftsmanship and elegance in an exquisite design, subtly unfolding femininity. Price Rs. 16k. Football is everywhere… in the TV, newspapers, the www and even discussed in local trains, parties etc. And still missing on your wrist! How come? Puma has unveiled a new line of sporty watches for him and her. With looks you can call athletic, dynamic and enthusiastic. The collection available in digital and analog and in vibrant colours of summer promises to make the buying experience absolutely worthwhile. The MotorSport collection dares to go beyond by pushing the limits with the brand new look. Priced between Rs. 2995 to Rs. 6,995. The PUMA Active collection is a combination of playful ease, simple, unconventional and sports a very futuristic look. Price Rs. 4, 495. 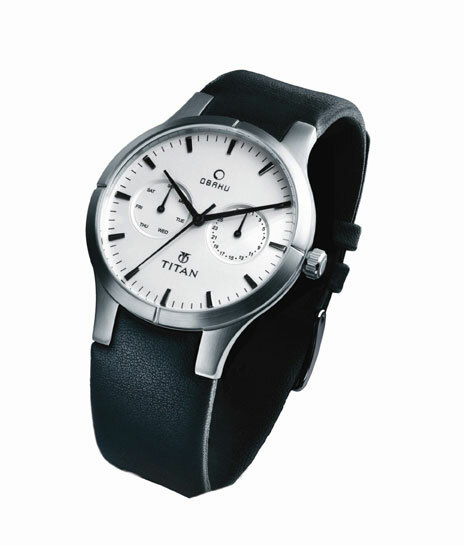 Titan Watches has collaborated with Danish designers to launch the beautiful ‘Obaku’ collection. Obaku takes its name from a branch of Zen philosophy in Japan which believes in natural simplicity – in both thought and act. The designers from Scandinavian countries have a long design tradition of functionality and simplicity of composition. The idea that there should be a sense of calm and balance in the items we use to adorn ourselves is what gave birth to the Obaku collection. The Obaku Collection has inherited the best from both the cultures from the East and the West, and has blended the minimalism and simplicity found in both. The collection comprises a palette of soft and soothing colours, with uncluttered looks. The watches are made of superior quality materials like kevlar straps, crystallised mineral glass and lead-free environment friendly battery. The collection targeted at the well heeled global Indian with a refined taste is available in 21 different styles, for both men and women. Priced between Rs 3,500 to Rs 7,000.